The Fisht Olympic Stadium is one of the new venues built for the Sochi Winter Games. The little known Russian town of Sochi is preparing to host the most expensive Olympic Games ever at a cost of about $50 billion. 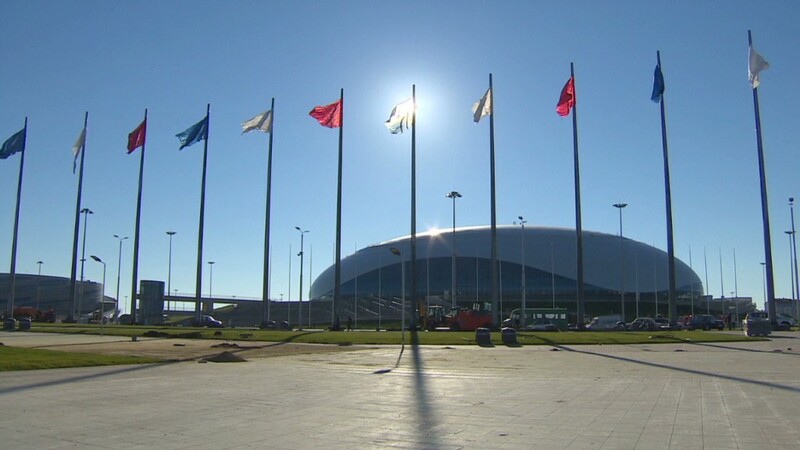 The staggering price tag, which includes a major upgrade to Sochi's infrastructure, outstrips the $40 billion China is thought to have spent on the Beijing Summer Games. And it's more than three times the cost of London 2012. When it won the bid in 2007, Russia said the Winter Games would cost $12 billion. That figure ballooned as a huge effort to build new sporting venues, roads and hotels gathered pace. Many of the new facilities will also be used when Sochi hosts the soccer World Cup in 2018. One of the biggest projects has been the construction of a high-speed rail line linking the Black Sea resort to the mountains. 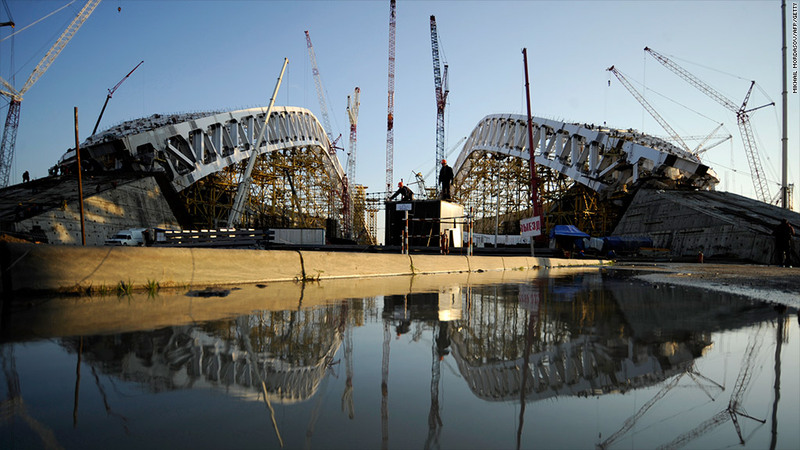 The amount of infrastructure needed to create the Olympic site meant the project was expensive from the start. Delays have only added to the bill. It isn't unusual for costs to spiral in Olympic projects. On average, these mega projects exceed budgets by 179%, according to Allison Stewart, associate fellow at the University of Oxford's Saïd Business School. Still, the ambitious building program alone doesn't explain why the cost of the Sochi games has quadrupled. "They are largely building what they said they were going to," said Stewart. From the outset, Sochi appeared a curious choice. The seaside town has average temperatures of around 10 degrees Celsius (50 Fahrenheit) in its coldest months. Masses of snow have been stockpiled since last year should warm weather strike. Some experts believe a low-ball bid may also explain part of the inflation. Sochi beat cities in Austria, Korea and Spain for the right to host the games. Patrick Rishe, economics professor at Webster University, said there could be a strategic element to Russia's "gross underestimation" of costs. Organizers may have "understated the true cost to build [popular] support and to allay any concerns the [International Olympic Committee] may have that this country could afford to put on the Games." Many of the final expenses are unknown. Security concerns have escalated sharply since Sochi was awarded the Games, and efforts to ensure a safe event could push costs even higher following a series of recent attacks in neighboring regions. And then there are allegations of widespread corruption. Boris Nemtsov, former deputy prime minister of Russia and a vocal critic of President Vladimir Putin, has led the charge. He published a report last year describing the games as one of the most "outrageous swindles" in recent Russian history, and claimed that up to 60% of the final cost -- or $30 billion -- has been embezzled. "This corresponds to the normal share of kickbacks in Russia," he said in the report. Nemtsov said much of the money had been diverted to enrich "the oligarchs and companies close to Putin."